Children just love fireworks and this is a fun picture for them to create, using a combination of dot painting and collage techniques. 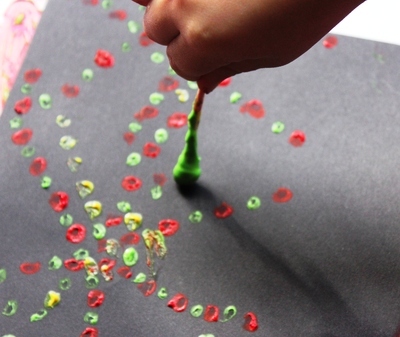 Young children will really enjoy dot painting the "firework patterns" and the end result is most impressive. Take a piece of black paper (or paint a white sheet with black, then wait for it to dry), then begin with the first dot pattern, to create "fireworks". 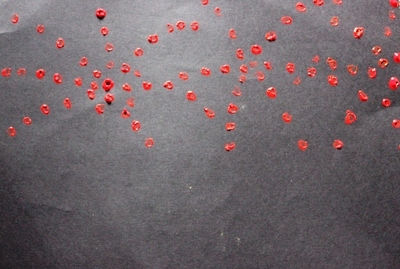 Each dot is created by simply dipping the cotton bud into paint and pressing it onto the paper. Try to encourage them to form lines spanning out from a central point, but random dots will also work well. Keep the dots towards the top half of the page, as the city skyline will occupy the bottom half of the page. 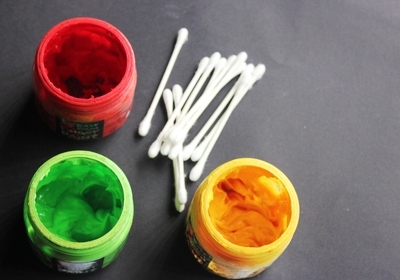 Take a fresh cotton bud to create a second dot pattern in a new color. 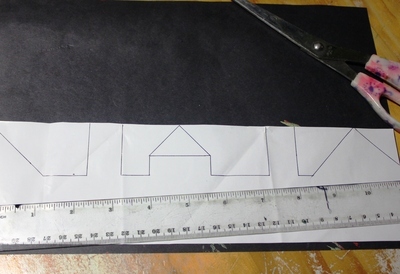 While all the dots are drying off, take your silver paper (or newspaper) to make a city skyline with a ruler and pencil. Use scissors to cut your skyline out and paste it onto the bottom half of the page. 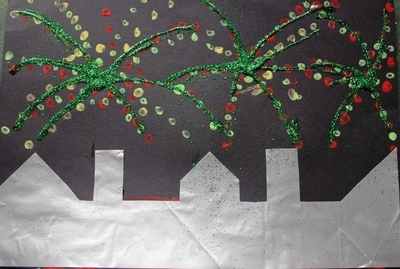 Finish off with some glitter glue to highlight the fireworks patterns. Ta-da. Allow some drying time before displaying on your art wall or fridge for all to admire.